Discover great homes and the Colorado outdoor lifestyle in Evergreen, a unique mountain community located just thirty-five minutes west of Denver. Living in Evergreen is a fantastic experience in itself: this picturesque lakeside town is situated in a stunning valley and has the best to offer in Colorado Rocky Mountain living. Enjoy skiing, swimming, horseback riding, ice skating, and so much more. 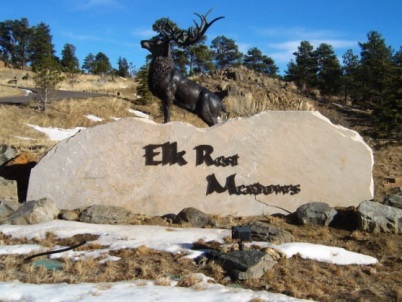 New home neighborhoods for sale in Evergreen include Elk Rest Meadows by Richmond American Homes and new high-end homes in Soda Creek. Just around the corner is Genesee, CO with its luxury homes, town homes and condos. Existing real estate for sale in the area includes everything from small mountain homes to exquisite estates. Sales pricing in Evergreen ranges from the $200’s into the multi- millions. The town and area are is known for their charm, breathtaking views and mostly sunny weather. The downtown area includes fine restaurants, theaters, and shopping centers, all set in that Colorado mountain town feel. Evergreen is also home to the acclaimed Hiwan golf club as well as an affordable public golf course on the lake. High-end Luxury homes line the private Hiwan golf course. The public schools here are part of the award-winning Jefferson County School system. Search for homes in Evergreen, Colorado by clicking here, or keep reading to learn more about New Homes and Existing Real Estate in Evergreen, Colorado. Evergreen is special in that is a truly mountain town, but has better accessibility to a major city than almost any other town like it in the whole state of Colorado. Elk Rest Meadows is a Richmond American community offering new homes for sale starting in the $400’s. Richmond is building beautiful 3500 to 4000 square foot 2 story and ranch homes in Elk Rest Meadows. Walkout lots and great views lots are available. The location of this new home community offers an easy commute to downtown Denver via I-70. Soda Creek, a luxurious high-end neighborhood, includes 250 available home sites for sale on 1,850 acres. The community includes forest horse trails, streams, and even a man-made stocked pond for recreational fishing. Soda Creek’s covenants and Homeowners’ Association ensures that the area’s architectural beauty is enhanced by maintaining high standards of design and upkeep. Nearby Genesee is a neighborhood of luxury townhomes and condos on 2,000 acres. Custom homes are available and sell at a variety of price points, and many lots have beautiful backyard views of the Rocky Mountains and downtown Denver. Enjoy 2,000 acres of free space for recreational activities. This free space is kept pristine by an active Homeowners’ Association. Genesee has a number of amenities including multiple hiking trails, tennis courts, playgrounds and pools. There are also three clubhouses which include meeting rooms and a private party room. Genesee is kept safe by police patrols around the clock and a community fire station. 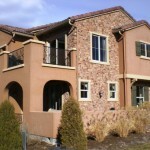 Riva Chase is a custom homes neighborhood located just twenty minutes west of Denver. It has a small community feel with one-to-three acre properties. Riva Chase includes a stocked pond for fishing, and Summit County ski areas are all about an hour away. This whole area is home to some of the most remarkable real estate in the entire country, with estates and fabulous properties reaching into the tens of millions at times. But then again, there is no other place like Evergreen Colorado anywhere: it is a unique gem of a market that requires a unique understanding.